on the Colorado two person crew bill? 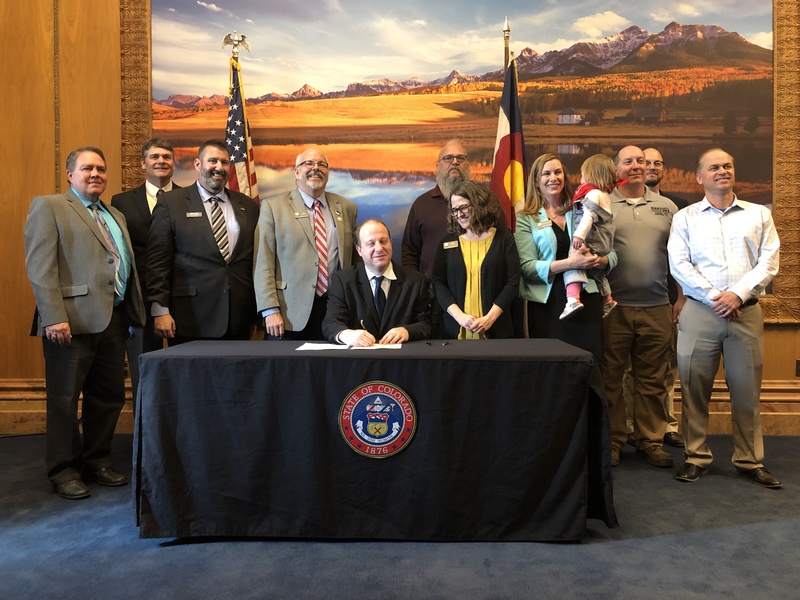 On March 21, 2019, Colorado Governor Jared Polis signed into law HB19-1034, which requires a crew of two on all freight trains that operate in Colorado. The law goes into effect on July 1, 2019. While it was all smiles at the bill signing today, this historic action for rail workers didn't happen by accident. The Colorado State Legislative Board lead by Director Carl Smith and the six TD Colorado Rail Locals have been working for this day the past four years. Yet SMART TD couldn't do it alone -- legislative success is a team effort. And today would not have happened without the commitment of Governor Polis to rail and public safety, to the hard work of the bill’s prime sponsors (Representative Sullivan, Representative Esgar and Senator Danielson) shepherding it through the legislative process and SMART TD's key legislative partners at the Capitol - Colorado AFL-CIO, Colorado Professional Firefighters, Conservation Colorado and American Federation of Teachers.